"Gadgeteer is a physics-based VR puzzle game where you build chain reaction machines to solve fun, intricate puzzles. Your machines will use gadgets to launch, bump, twist, and turn—creating chain..."
"Become a sharpshooter and music fanatic in this VR Rhythm FPS game! Shoot as many targets as you possibly can to the rhythm of the song. Whether you want to learn to shoot better in VR." ""since I played this game, I won't yell at cockroaches anymore." "play cockroaches every day, fear to quarantined you." Hey! I would like to remind you that you should clean up the house, but it is..."
"Dance to rhythm & beat and show off your skills. "Millionaire Dancer", the title given to the best dancers, is yours. " "Enjoy the satisfying feeling of shattering everything in your path, dodge obstacles, and move in harmony with finely tuned music. Unlock weapons with unique features and imprint your name on the leade"
"You can play on a real tennis court and face professional tennis players. You'll have to show all your technical and tactical skills. The game is designed for gamepad or keyboard too." 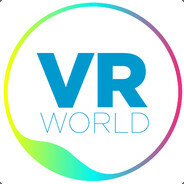 "DailyVR is the best SteamVR Overlay solution! * Mirror your favorite Windows application into VR game * Support up to 5 Multiple Overlay Views * Control overlay windows in VR with ease at a... "
"The latest evolution in VR climbing. Flinging, racing, and smashing bots on your way to the top. Can you save the world from the robot you created? " "Survive the zombie apocalypse—without working too hard. Best hard game!" "Best anime VR game! -An empty, deserted Shibuya where time has frozen over. A mystery full of suspense, woven by 8 childhood friends trapped inside.A lost memory. A mysterious message, "I am dead. "